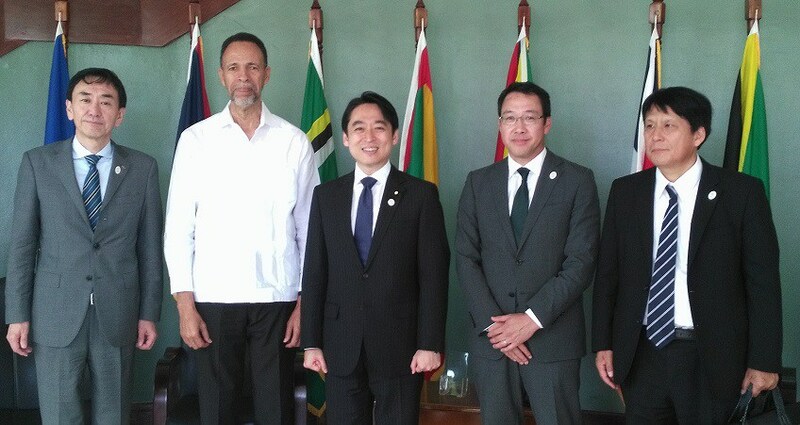 Strengthening CARICOM-Japan relations, Asia’s potential as a source of tourism, and the importance of presenting CARICOM to that part of the world. These formed part of an exchange of views when a delegation from Japan’s Ministry of Economy, Trade and Industry paid a courtesy visit to the CARICOM Secretariat’s Headquarters in Georgetown, Guyana on Monday. 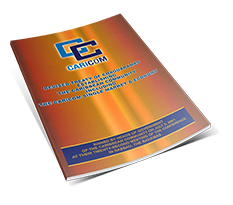 The possibility of Japan hosting World Expo 2025, for which it is bidding, was seen as an excellent opportunity to present CARICOM to that region. The Japanese delegation was led by HE Daisaku Hiraki, Parliamentary Vice-Minister of Economy, Trade and Industry, and also included Mr. Jun Arai, Vice Governor of Osaka Prefecture, Mr. Takao Morita, Operating Officer and West Japan Sales Manager of JTB Communication Design Inc. and Mr. Atsushi Takata, Director of JETRO Bogota. The CARICOM’s Secretariat’s team, headed by Assistant Secretary-General, Foreign and Community Relations, Ambassador Colin Granderson, also included Dr. Richard Brown, Director, CARICOM Single Market and Sectoral Programmes; Ms. Alexis Murray, Project Officer, Resource Mobilisation and Technical Assistance; and Ms. Nickeva Eve-Benjamin, Project Officer, Foreign and Community Relations.